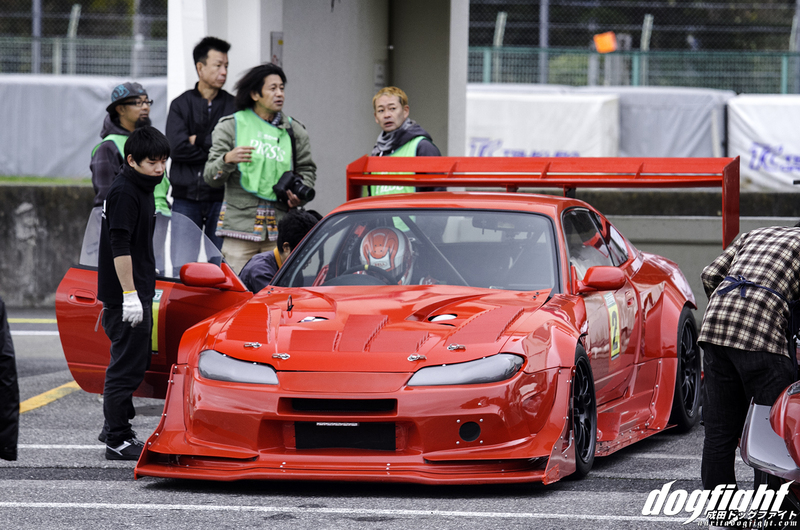 Friends Racing and their re-purposed drift Silvia have made quite the comeback over the past year or so. Making the transformation from the GReddy backed D1 Grand Prix competitor, to a record chasing time attack build was no easy task for the small Tochigi-based outfit. It took the company a few years to get the car to where it’s at now; a journey that is paying off in blindingly fast lap times. 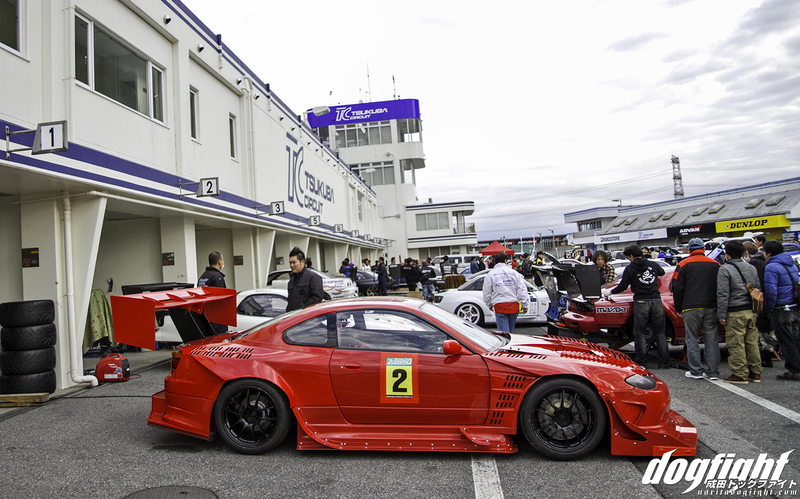 Like most Japanese tuners, Toru Inose founded Friends as a one-stop shop for all tuning needs. A place to drop your car off with a vision, and return to have your visions a tangible reality. Employing expert engine builders, they’ve come to be known for a specialization in Nissans. Their demo cars have always been very comprehensive, taking a completely stripped shell and rebuilding it for it’s intended medium; be it drift, drag, or time attack. 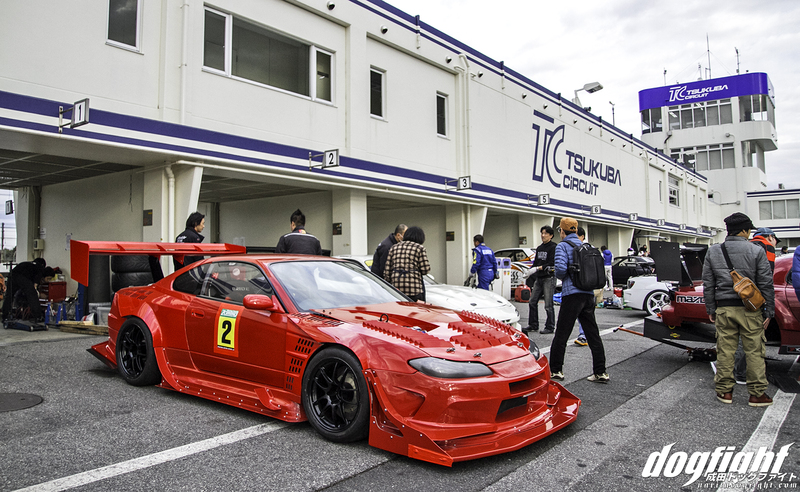 This particular S15 is no different. Since most competitive motor sports require a good amount of power, Friends needn’t address the engine setup as much as a build from scratch. The VE head equipped SR20 already boasted a massive 700ps thanks to careful tuning and a load of boost from the single Trust T88 turbine. 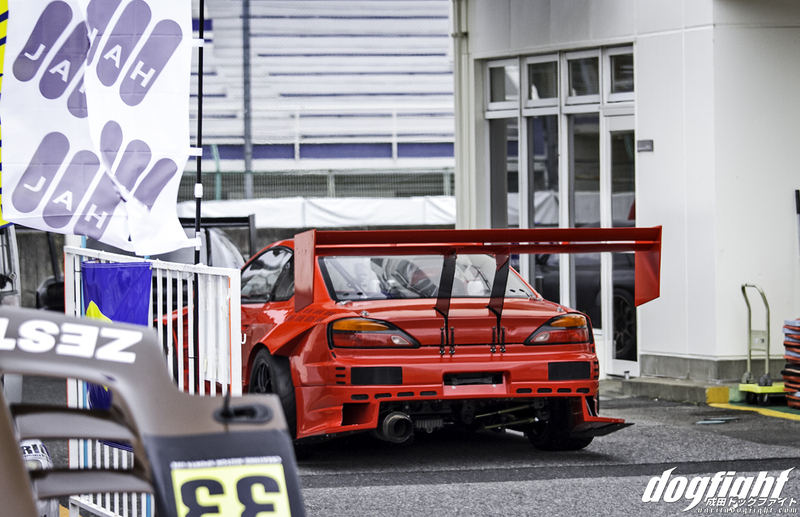 The exterior has been given a makeover to increase downforce and ensure the car stays flat throughout the turns; the massive Voltex wing sharing the majority of duties. 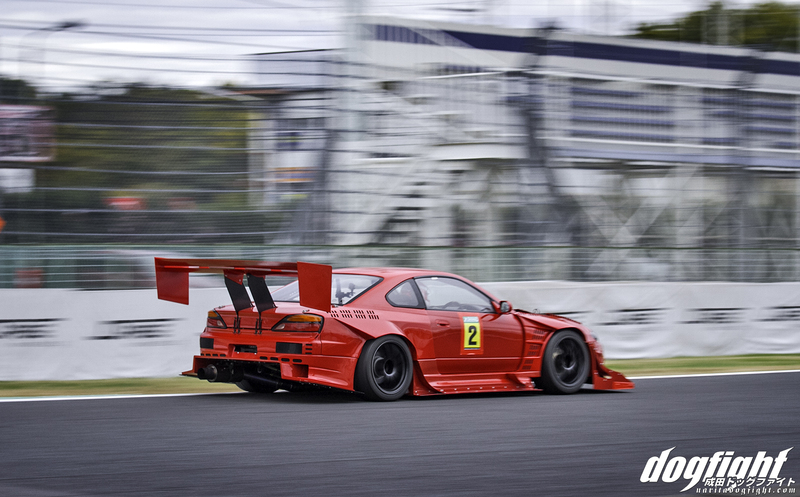 The combination of T&E and original Friends aero gives the S15 a very unique, and aggressive look. With the decals and old livery removed, it develops somewhat of a mysterious air to the build. 295 series Advan A050 tires are tasked to keep the car on course; a standard choice for anyone trying to set records. I’m glad they kept the metallic grey headlight covers; looks incredibly cool. 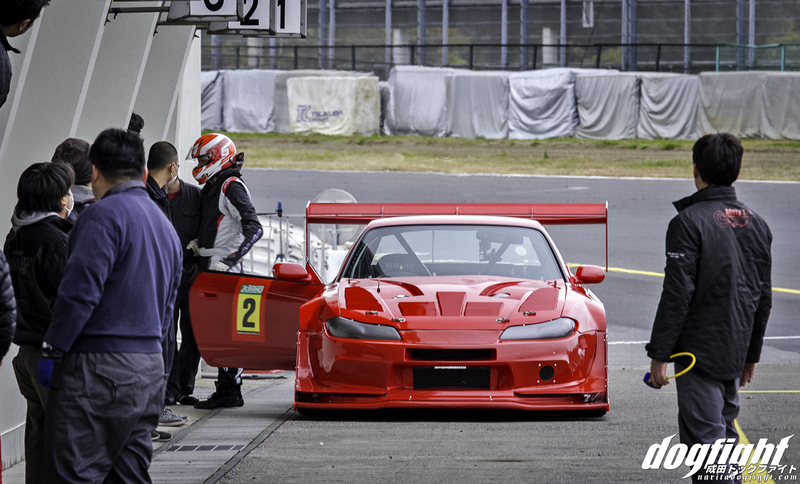 Here, Inose-san himself gets ready to pilot the Silvia around TC2000. The new settings have done the rebuild justice by setting personal best after personal best this past month. The fastest to date around Tsukuba being a 53’821. A front runner in it’s own right now. Can’t wait to see what 2017 brings for the team as they travel to different courses throughout Japan.